Welcome to the tourist guide of Gloria Palace Hotel. In order to make your holiday in Sofia memorable, we would like to suggest a route to explore Sofia’s sights, beginning and ending in Gloria Palace Hotel. Each of the sights mentioned has a Google Maps link so you can find it easier by using your smartphone’s navigation application. 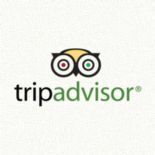 We wish you a wonderful experience in Sofia and a pleasant stay at Gloria Palace Hotel! Sofia is the capital and the largest regional city in Bulgaria. It is the main administrative, industrial, transport and cultural centre in the country. Furthermore, in the centre of the modern city of Sofia are located the remnants of the ancient town of Serdica, so definitely there are some interesting sights to explore. Starting your walk from Gloria Palace Hotel on Maria Luisa Blvd, first you can visit the underground passage of Nezavisimost (Independence) Square and the underground passage of Serdika Metro Station, where you can see the ancient town walls as well as objects discovered during the archaeological excavations of Serdica. Just a stone’s throw away, in the courtyard of the Presidency you can visit the Rotunda “Saint George”, which is considered the oldest building in Sofia. 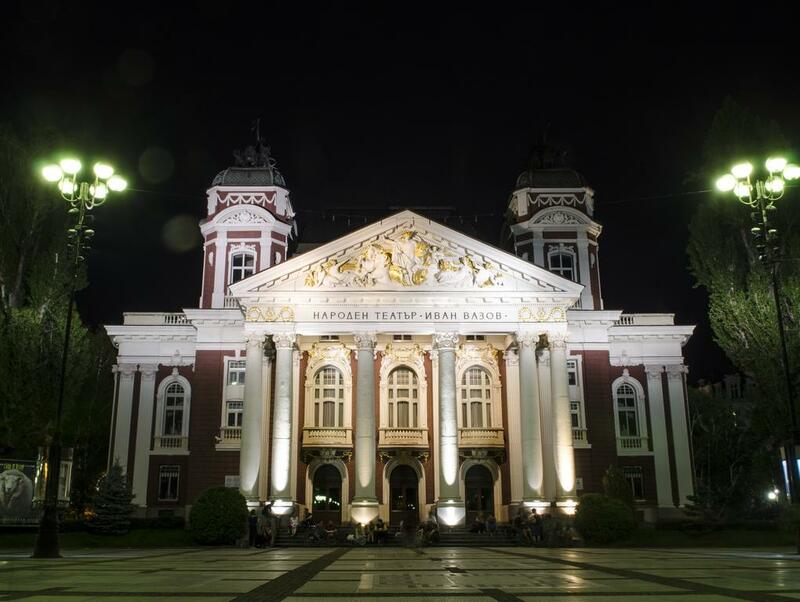 There is another landmark of the capital close by – the National Theatre “Ivan Vazov”, founded in 1904. The next stop is the Royal Palace, where the National Art Gallery is housed today. The building also houses the National Museum of Ethnography that presents a rich collection of national costumes, hand-crafted works of art, tools of labour from three or even four centuries ago, jewellery, embroidered fabrics and other objects characteristic of the Bulgarian way of life and culture. In immediate vicinity you may also visit the National Museum of Natural Sciences. After passing by the building of the Bulgarian Academy of Sciences, established in 1869, you will reach the building of the National Assembly, built in 1884, and the motto on the main façade is “Unity Makes Strength”. Behind it is the St. Alexander Nevsky Cathedral – the largest Orthodox church in Bulgaria – built in the early 20th century with donations from the people and one of the most impressive buildings in the capital and the principal church of the patriarchy of the Bulgarian Orthodox Church. Right next to the entrance of the Alexander Nevsky Cathedral is the Monument of the Unknown Soldier with the ever-burning fire and the sculpture of a lion by the great Bulgarian artist Andrey Nikolov, as well as the St. Sophia church, built in the 4th century AD. The capital of Bulgaria is named after it. In the early 19th century, it was briefly turned into a mosque, but soon after the Liberation it was once again sanctified as an Orthodox Church. Continue down Georgi S. Rakovski Street and you will reach the National Opera – a building, which also houses the National Ballet. If you continue down the street, then turn right on Knyaz Alexander Dondukov Blvd and then turn right again and go up until you reach Vasil Levski Boulevard, you will see the monument of Vasil Levski. Further down the boulevard you will see the building of the National Library with the monument of the brothers St. St. Cyril and Methodius in front of it, and next to the National Library is the Sofia University “St. St. Cyril and Methodius”, founded in 1888. The building housing the university was constructed in 1920 with the donations of the brothers Evlogi and Hristo Georgiev. Well worth the visit is also Slaveykov Square, with the largest open-air book market in the city, as well as the pedestrian zone of Vitosha Boulevard, where fashionable shops and various restaurants and cafes keep the boulevard bustling with people well into the small hours of the night. From there you can get back to Gloria Palace Hotel on Maria Luisa Blvd. in just a few minutes. If you want to spend a little time in one of the many public parks in Sofia, you may visit Borisova gradina (the Boris’ Garden), the Garden in front of the National Theatre, the South Park, Vazrazhdane Park or the Garden in front of the National Palace of Culture, where various concerts, exhibitions and other cultural events are held. Of course, you may also visit our other hotel: Gloria Palace Diplomatic Club, located at the foot of Vitosha Mountain, where you may enjoy a game at the tennis courts, the swimming pool with a restaurant, children’s park, beautiful gardens and fresh air.